One of the best gifts you can give a woman is time, time to relax, pamper themselves, read a good book or go and do something for themselves. Especially if that woman is a Mum. I know that I don't spend anywhere near enough time on myself. My time is spent looking after the kids, cleaning or working on my blog. In fact when I do get time to myself, I don't know what to do with it. 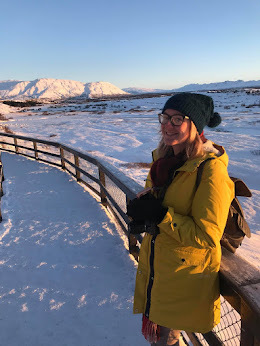 I have put a guide together full of items or experiences I would love for myself or I would choose for the other women in my life. Many of these items would be great to make up a DIY personalised hamper. I love to use organic and natural products and until recently I hadn't heard of Faith in Nature. They actually sell a large range of natural cleansing products including shampoo, conditioner, soap, facial wash and hand cream. They actually sent me these items to try out and they are so good! My hair has been lovely and clean feeling and my skin is so soft. I find it really satisfying knowing that I am not covering my body in chemicals and that all of the items are not tested on animals. On the back of each product is a full ingredient list and it even tells you where each ingredient comes from. 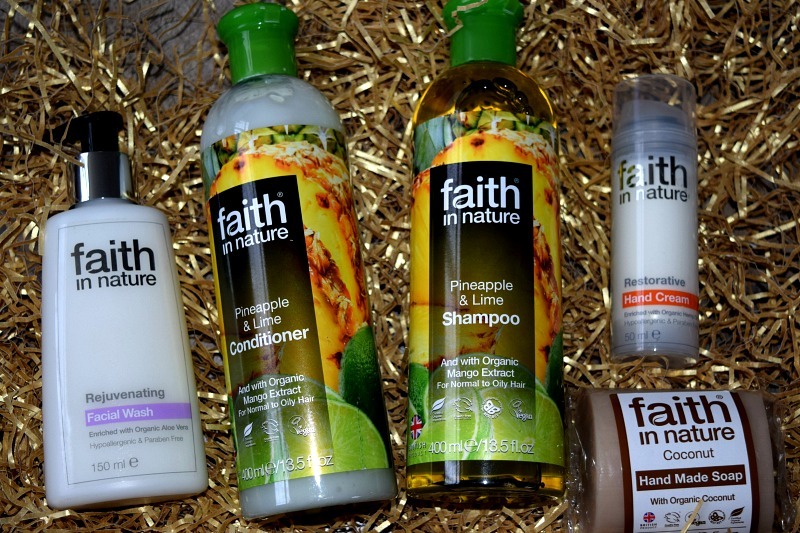 Faith in Nature products would be great for a luxury hamper. This is one for helping ease aches and pains after a long day or a rigorous workout. I would love to say I work out regularly but that would be a lie. I do hurt like hell every time I do though. I go through stages where I like to do daily exercise or attend local Zumba and Yoga classes with a friend, which I love doing! The after effects quite often put me off though. When my body aches from head to toe and I have to do all the school runs and run around after Elsie all day it can be tough. 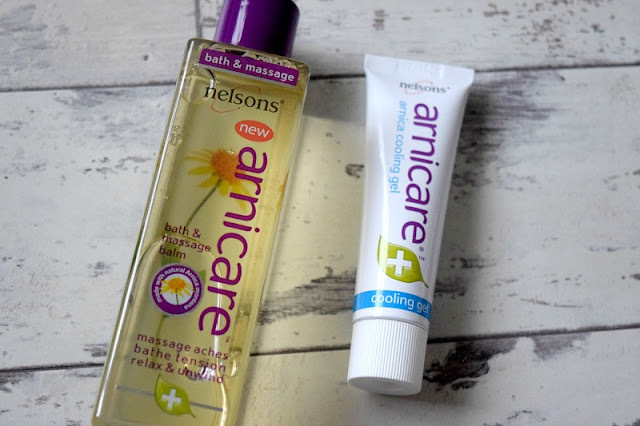 I swore by Arnicare after my csection, it really soothed the bruised feeling around my wound and helped with my recovery. The bath and massage gel can be massaged into aching stiff muscles or added to bath water to soak away the tension. The cooling gel is also for massaging into muscles after a hard day. I think these would be great additions to a Christmas hamper. I would certainly appreciate it myself. Talking of hampers, no hamper is complete without a candle or two. 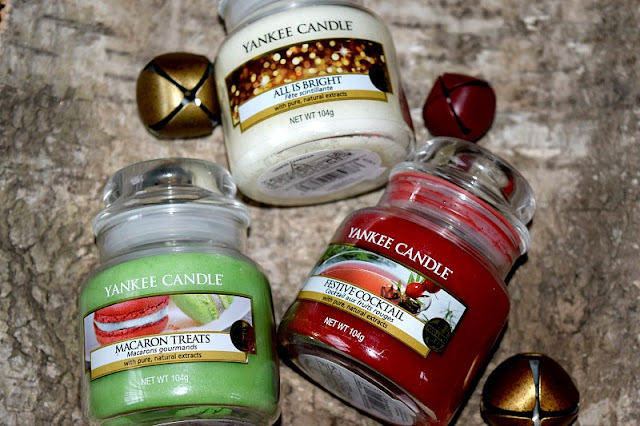 I use my Yankee Candles every single day and whenever anyone asks what I want, I suggest they pick me up a candle or two to save me buying them! I love the festive ones. These are my current jars; All Is Bright, Macaron Treats and Festive Cocktail these are part of the Holiday Party three-pack. I also have a few of last years special Christmas ones which I have saved especially. 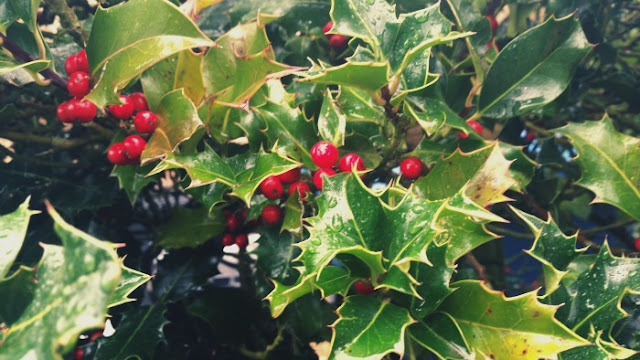 I love to have seasonal scents. I can't decide my favourite between Festive Cocktail and All Is Bright! Also I picked up a small Mint Chocolate tea light in Asda this week which also smells amazing, perfect for any mint chocolate fans. If you are short on time for collecting items to make your own hamper, there are plenty of great ones out there. I really like this one from Sutton's. It comes in a cute bathtub and contains; shower gel, body lotion, bath crystal and body scrub. The bathtub would be a great bathroom accessory to keep soaps, lotions etc. in afterwards. All of the items have a Hisbiscus fragrance which is a lovely calming scent. This would be perfect for Mums or Grandparents. 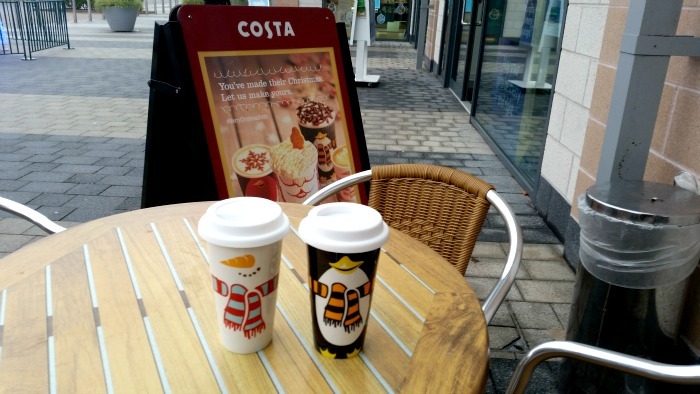 I spend a small fortune in Costa. I have one locally, within walking distance, and so I love to sit and have a nice hot chocolate and a cake either with friends or even just the kids. It is a lovely treat and I really enjoy a decent hot chocolate. If you don't know what to buy someone then try and think about what they enjoy doing. I would really appreciate a gift card to somewhere like Costa or Boots to choose my own perfume as it is likely to actually be spent on me. Buy me a voucher for NEXT and you can guarantee I will buy the kids clothes! Buying for someone who buys themselves everything they want? Think outside the box, afternoon tea for two, a theatre show, restaurant vouchers or even movie tickets. Sometimes giving someone a reason to go out and enjoy themselves is the gift that gives the biggest smiles and one they will always remember. I hope you have found some inspiration in this post. You don't have to spend a fortune to make someone happy at Christmas! * I received samples of some of these items for inclusion but I only featured the items I would recommend myself. This post contains affiliate links. I love a good scent package at Christmas! Also, Arnicare? The absolute BOMB! That's a lovely idea, making personal gifts can be great as you can get items you know the person you are making it for will use. Yay! Glad to see Faith In Nature in this post. Love their hand soaps and shampoos. the Yankee Candles look fab - I do love a good candle and I have had many yankee's in the past! Oh wow, I didn't even know Costa did gift vouchers - that is totally going on my list! Lovely gift suggestions. You can never go wrong with Yankee Candles. So many great ideas! I really love Yankee Candles, they smell divine! I never really get gift cards but to get some for somewhere like costa would be so helpful as I love going there and spend way too much!